residential or commercial properties and have assisted with the acquisition of office buildings, shopping malls, and large industrial sites, as well as residential refinancings and disputes (such as foreclosures or property line disputes). We have represented state funded real estate projects as well. Cole, Kirby & Associates also operate the licensed title insurance agency, Warranty Title Agency, Inc.
Cole, Kirby & Associates advises and represents people facing all types of family law problems. 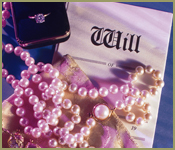 We have a client’s interests in mind, determining the best way to handle your family law case. Cole, Kirby & Associates works closely with clients throughout a divorce, dissolution, child custody, child support, modification, or adoption case. 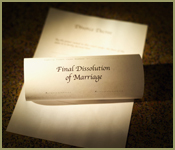 We handle all divorce-related matters, including custody, visitation, support and the distribution of marital property and advises clients throughout the divorce process, from filing a complaint through post-judgment requests for modification. Cole, Kirby & Associates will help you negotiate or obtain custody and visitation arrangements that meet the needs of your children while protecting your rights as a parent. When you need administration of a decedent's estate, or your own estate needs to be planned in order to provide for your family's future — come to Cole, Kirby & Associates. 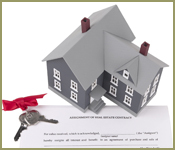 We have extensive experience and knowledge in assisting clients with important decisions in planning an estate. From drafting simple and living wills, trusts, power of attorneys, and guiding clients through the probate process, we work closely with clients to ensure their future wishes are carried out. From helping you decide what type of business entity suits you best to helping you create and review contracts, business litigation, and collections, Cole, Kirby & Associates brings many years of legal experience. 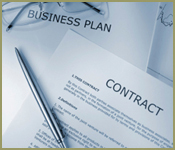 If you are considering starting your own business please contact our office to discuss the options available to you from creating an Ohio corporation, limited liability company or partnership. If you have an existing business, please contact our office if you find yourself in need of legal advice. A Workers’ Compensation claim can be difficult and complicated. Cole, Kirby & Associates focuses on navigating you through the myriad of issues that often arise. Disputes involving disability compensation, medical treatment, accusations of fraud, and many other significant matters can repeatedly occur throughout the life of an Ohio Workers’ Compensation claim. Many important issues are often won or lost based on simple technicalities. These technicalities can sometimes prevent an Injured Worker from receiving compensation or treatment he or she may otherwise deserve; these technicalities may also cause unnecessary payments that will adversely affect an Ohio employer’s Workers’ Comp insurance rates—don’t let this happen to you! We have experience and knowledge from attending literally thousands of hearings in front of the Industrial Commission of Ohio, at all levels of the Administrative process. We also have a unique familiarity with the internal workings of the Ohio Bureau of Workers’ Compensation (BWC). With our firm, you will benefit from having a Lawyer who has many years of experience as a BWC Staff Attorney, and who has also worked as an Injury Management Supervisor (i.e., claims supervisor) for the Ohio BWC. 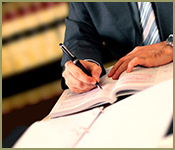 We understand the system and the law, and we can advise you through the process. Cole, Kirby & Associates is qualified to represent both Employers and Injured Workers and will make every effort to assure your rights are protected. Let us help you.